A consultation has started today on the contents of the Environmental Principles and Governance Bill, which will establish a world-leading body to hold government to account for environmental outcomes. The body will support our commitment to be the first generation to leave our environment in a better state than that in which we inherited it. 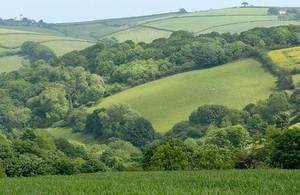 It will provide scrutiny and advice as we protect and enhance our precious landscapes, wildlife and natural assets and would be able to hold government to account on environmental legislation. • and holding government to account publicly over its delivery of environmental law and exercising enforcement powers where necessary. The Government is also consulting on its intention to require ministers to produce – and then have regard to –a statutory and comprehensive policy statement setting out how they will apply core environmental principles as they develop policy and discharge their responsibilities. Currently environmental decisions made in the UK – from improving air and water quality to protecting endangered species – are overseen by the European Commission and underpinned by a number of these principles, such as the precautionary principle, sustainable development and the ‘polluter pays’ principle. "As the Prime Minister has made clear, we will not weaken environmental protections when we leave the EU. A new Environmental Principles and Governance Bill will ensure core environmental principles remain central to government policy and decision-making. This will help us to deliver a Green Brexit and the vision set out in our 25 Year Environment Plan. "But we will only achieve our aims by also creating a strong and objective voice that champions and enforces environmental standards. That’s why our Environmental Principles and Governance Bill will also create an independent and statutory watchdog. This will hold governments to account for delivering their commitments to the natural world." The consultation is concerned with environmental governance in England and reserved matters throughout the UK, for which the UK government has responsibility. However, we are exploring with the devolved administrations whether they wish to take a similar approach. We would welcome the opportunity to co-design proposals with them to ensure they work across the whole UK, taking account of the different government and legal systems in the individual nations.